Never Lose Another Expensive Dog Boot! As you can see, the suspenders clip to the dog boots keeping them on. Once you fit them to your dog, you can easily remove the boots without unclipping them from the suspenders. This makes it easy and convenient to slip them on and off your pet. If you’ve ever let your dog out to have him return missing a dog boot, you know the frustration. After all, dog shoes are sold in sets of four, you can’t buy a single dog shoe! As a loving pet owner, you want to protect your dog’s paw pads from the elements. From snow and ice in the winter and hot pavement in the summer, dog shoes offer protection for your pet’s paws. Yet, if your dog loses a boot or isn’t able to keep them on, that ruins the whole point! 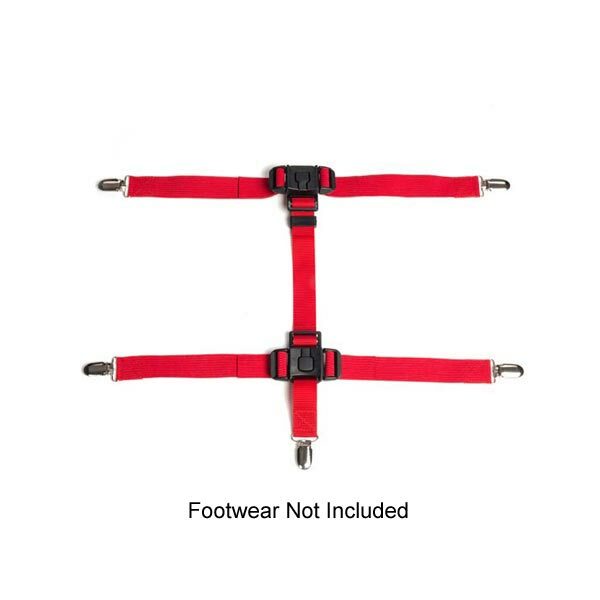 The solution is the Snuggy Boots Suspenders System which ensures your dog’s paws stay protected. They also offer joint support. Senior dogs are at risk for arthritis, neurological problems, hip dysplasia, osteoarthritis, and other diseases that can affect their joints. Not only are these conditions painful, but they can affect your pet’s ability to get sufficient exercise and be able to move around easily. When you attach the suspenders to dog boots and connect them to your dog’s collar, you help your dog regain mobility. 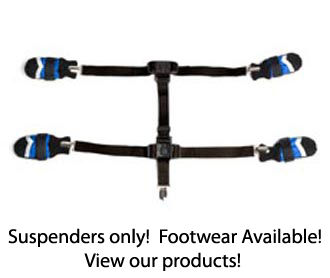 In fact, our customers say their dog walks farther and faster with the Snuggy Boots Suspenders System than without it. If your dog is suffering with arthritis or other conditions that can slow him or her down, try the Snuggy Boots Suspenders System. It works because the elastic tension leg support straps take some of the pressure off your dog’s joints, provides needed support and makes it more comfortable for your dog to move about. When connected to your dog’s collar and boots, the elastic straps provide a framework that gives your dog’s joint support. Learn more about how the Snuggy Boots Suspender System supports senior dogs. 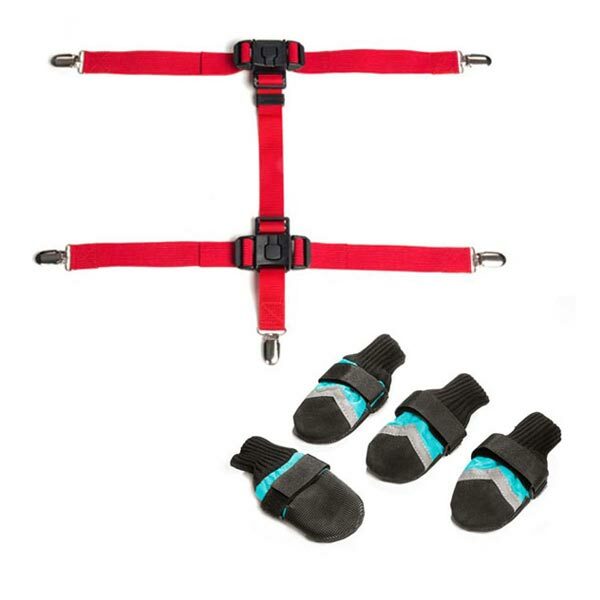 If you’re ready to buy the Snuggy Boots Suspender System and not waste another minute worrying about lost dog boots, click below to purchase your set! • Dog Shoes – Are They Necessary? • I think my dog has arthritis – how long should I walk him?